This sumptuous bouquet is the epitome of elegance! 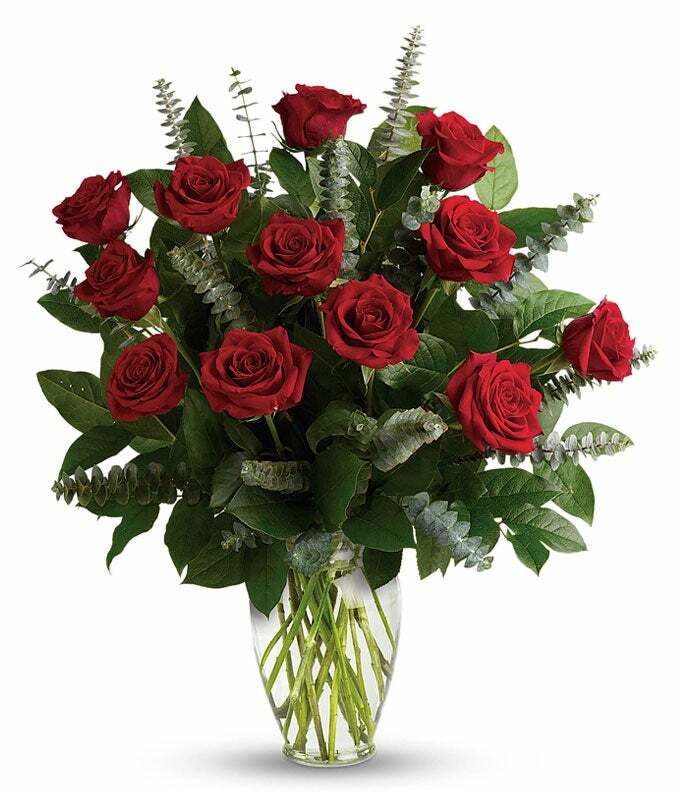 Typically, red roses are the flowers of romance and this beautiful arrangement of red roses and eucalyptus is sure to get your feelings across! Hand delivered directly to your recipient's door by a preferred local florist.